Jason (@teawithchu) has provided me with TLS’s Trim Tea for the purposes of providing an honest review. I received a 3 day supply of Trim Tea, which is a tea product by TLS. As per the product page, Trim Tea consists of black tea extract, and extract from Irvingia gabonensis (African Mango). If you look on the Wikipedia page for Irvingia gabonensis, it’s been used a lot in weight loss programs. Because I only received a 3 day supply, the purpose of this review is for me to try it out and review it based on taste – and not to see if it actually helps me to lose weight. Each day’s supply comes prepackaged/portioned out, which is handy. Trim Tea is a dark, blackish-brown powder. It’s a very fine powder and it barely has a noticeable smell to it. I was expecting a little something, since it has black tea and mango in it, but I didn’t notice a smell. I’m not a primary health care provider, or a researcher in weight-loss, so I can’t speak to the science behind how Trim Tea works. It’s always a good idea to make sure that your primary health care provider is aware that you’re engaging in any sort of weight loss program so that you can stay healthy and do it safely. 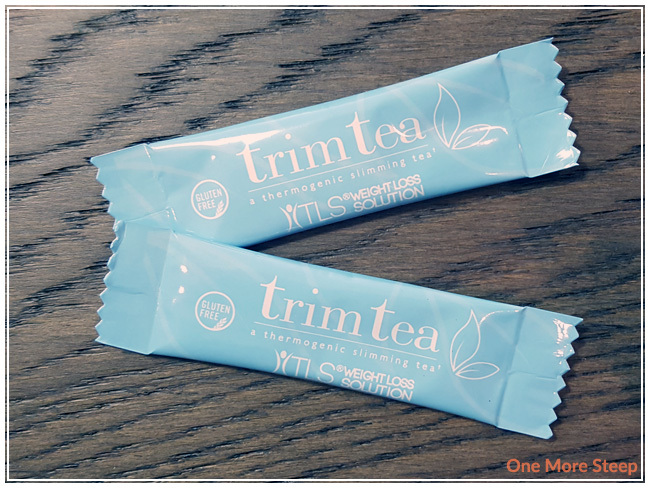 TLS recommends combining 1 packet of Trim Tea with water, hot or cold. They also suggest, if you’re consuming this for weight loss reasons, to take it 30-60 minutes prior to a meal. Because I’m reviewing this on taste and not weight-loss effectiveness, I mixed it with hot water (93°C/200°F) and had it mid-morning. Trim Tea mixes to a very dark reddish-brown. It smells a bit like a pu’erh, which was surprising given the ingredients in this blend. On first sip, I found that it was slightly bitter. 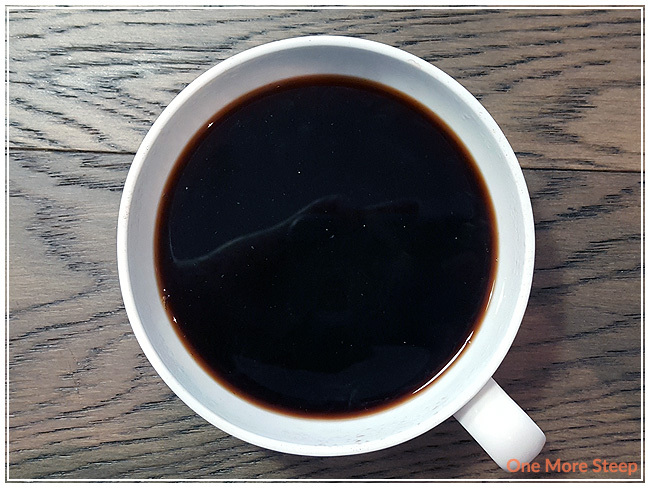 There’s a mild sweetness at the end of each sip, but it has a very earthy flavour to it. Trim Tea doesn’t taste like either black tea or mango, but it has a flavour that really does taste like pu’erh. TLS addresses the fact that if you think it tastes a little bitter, you should add a bit more water to dilute it (or, if you’re adventurous, you could always take it like a shot). Because Trim Tea is a powder, there was nothing to resteep as it all mixed into the water. I liked TLS’s Trim Tea. I’m personally not in the market for a weight-loss program right now, but I found the flavour to be palatable. There was a slight bitterness with Trim Tea, but there was that sweetness at the end of each tea that makes it easy to drink. 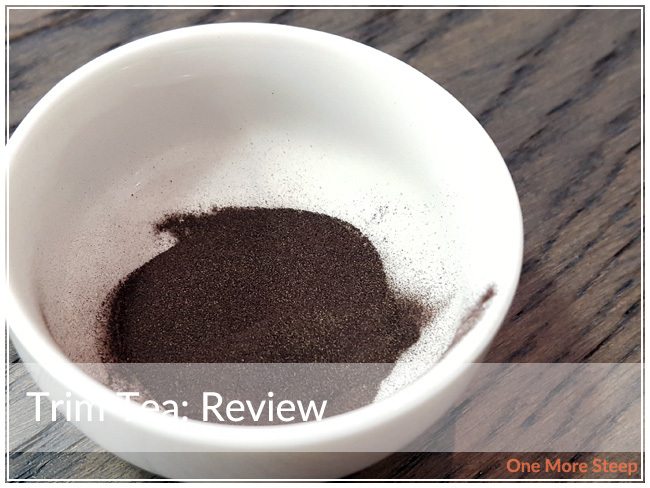 Trim Tea has a great earthiness that reminds me a lot of pu’erh instead of a black tea. 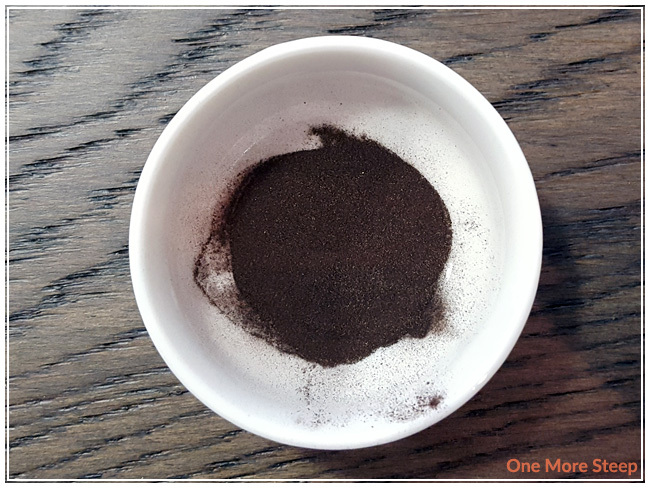 If you’re a fan of pu’erh teas, you might want to give Trim Tea a try. Like a good pu’erh, this one can go down easy since it has the sweetness at the tail end of each sip. If you’re looking to buy Trim Tea, it’s available online!